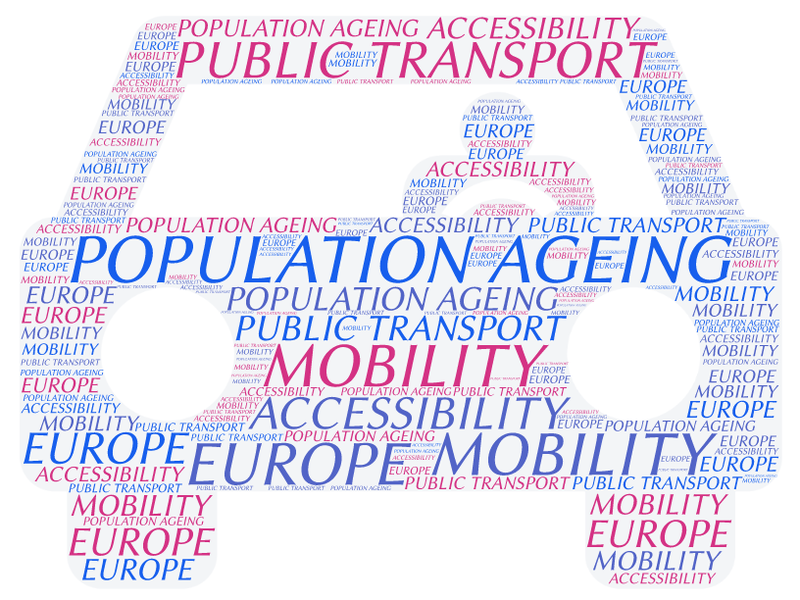 Is European transport provision ready for ageing? The Mobility4EU project will deliver our vision of an efficient, sustainable and low-carbon European transport system in 2030. But as well as looking at transport modes, we need to look at who the passengers and vehicle users will be. By 2030 and beyond they will, on average, be older. By 2060, people aged 65+ will make up 28% of the European population, from 18% in 2013. Mobility is not only essential for older people to get to work, to shop and to visit friends and families, but it is also good for social networks and self-esteem. When looking at the purposes of trips today, a large proportion is for commuting or business purposes. As our population ages, it is possible that the proportion of trips made for leisure will increase. Research shows that older people use place greater value on travel which is in the local area, and during the day. Trends continue to see increasing rates of car ownership in older generations, meaning that public transport in the future will have less ‘captive users’, i.e. those who have no other choice than to use public transport. Public transport also will need to be more accessible for older people in the future, in terms of design and access. Design of transport modes and systems should follow the values of universal design; something that can accessed and used “to the greatest extent possible by all people regardless of their age, size, ability or disability”. In light of population ageing, various European countries have realised the need to encourage their populations to work longer, with a number of European countries increasing their state pension age or retirement age. This will have an impact on transport demand. Evidence suggests that across Europe, older workers are more likely than other ages to be self-employed, or working part-time. This could have an impact on levels of peak-time travel, which is based around traditional working hours. Urbanisation is a trend seen across Europe, with more people moving to towns and cities. However, transport provision must not just focus on urban mobility. In many European countries, rural populations will see an increase in the proportion of older people living in those areas. We know already that providing public transport in rural areas that have low population density is difficult. But it is essential for mobility that older people in rural areas have transport options other than private cars.